Pass a law in your state, city or county that blocks the NDAA, and protects your neighbors, family and friends from the horrors of the Laws of War. Introduce a Sheriff’s Resolution and have him uphold his oath and protect the citizens of your county from indefinite detention. Although these resolutions are here for you to download, please contact us via our Join Us page so we can assist you in building a coalition to push the new ordinance/resolution/act. 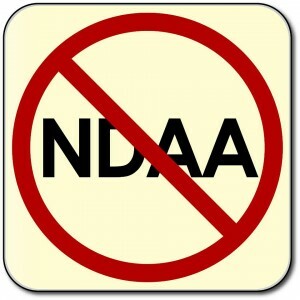 Talk to your local Tea Party groups, Occupy Movements, political activists, business leaders and local voters that might oppose the NDAA in your area. Talk with sympathetic local legislators, lawyers and people of influence and get them to back you in pushing the bill. The more influence and local voters you have supporting you, the better chance your bill has of passing. All resolutions below have been created by The Intolerable Acts ACTION Center, and are fully endorsed by PANDA. Just choose your state, click, and download any of the below resolutions/legislation.